Columbus Day has been ruining America for a few decades now, but a few cities are finally doing something about it. A sunlight-refracting silver orb is being removed in Calgary after burning a hole in someone's jacket. 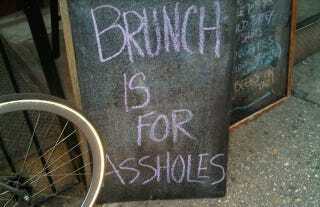 And someone says that brunch is turning our neighbors into assholes. It's What's Ruining Our Cities!